Regina Spektor will play at The Fillmore Auditorium on March 29. The concert is part of a full North American tour this spring, just announced after Spektor completed a sold-out run of performances in select U.S. cities this fall. 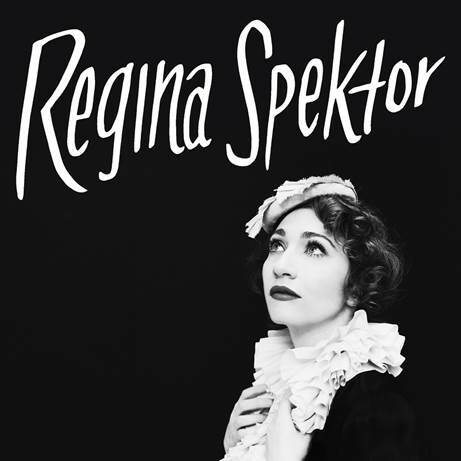 Subscribers to Regina Spektor’s online mailing list will have the first opportunity to purchase tickets during a special presale beginning Tuesday, November 1 at 10 a.m. local time. Every pair of tickets includes a standard CD or digital version of Spektor’s new album Remember Us To Life, out now on Sire/Warner Bros. Records. Kicking off in Montreal on March 5 you can watch Regina’s tour announcement video here. This past weekend Spektor appeared on “CBS This Morning Saturday.” She also recently performed her new single “Bleeding Heart” on “The Late Show with Stephen Colbert” HERE and “Small Bill$” on “The Late Late Show with James Corden” HERE. “Regina Spektor: A Soundstage Special,” an intimate 60-minute concert taped in July at Grainger Studio/WTTW Chicago, is airing now on PBS stations nationwide (check local listings). Spektor also recently premiered the stunning video for the track “Small Bill$,” directed by Steven Mertens, via YouTube HERE. Born in the Soviet Union, Spektor began studying classical piano when she was six. Her family emigrated in 1989, landing in New York City, where she continued her classical training. Spektor eventually studied composition at the Conservatory of Music at Purchase College where she graduated with honors. She began writing pop songs in her late teens and made her recorded debut in 2001 with the self-released 11:11, a collection of songs heavily influenced by jazz and blues. Songs followed in 2002 and Soviet Kitsch in 2004. Spektor’s commercial breakthrough came in 2006 on her fourth LP, Begin to Hope. The gold-certified album included the singles “On the Radio,” “Better” and “Fidelity,” which climbed the Billboard Hot 100 singles chart. Spektor’s fifth album, Far released in 2009, and sixth album, What We Saw From the Cheap Seats released in 2012, both debuted at No. 3 on the Billboard 200 albums chart. Spektor’s songs have appeared in TV shows and movies including Orange Is The New Black, Grey’s Anatomy, Weeds, How I Met Your Mother, Veronica Mars, The Good Wife and (500) Days of Summer. Spektor played for the Obamas and guests at the White House and performed as part of philanthropic campaigns for Tibet, Doctors Without Borders, and many more. Tickets for the Fillmore show are $32.50 GA ADV and $35.00 GA DOS plus applicable service charges.